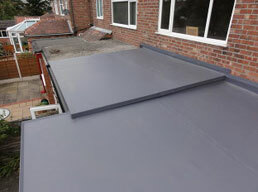 The Duranite System consists of a range of integrated and proven components which are simply and reliably fused together to produce a single joint free monolithic high performance roofing membrane and create a permanently watertight building envelope with a life expectancy in excess of 50 years, which carries a 30 year watertight guarantee on domestic projects. Duranite requires no maintenance, is not at risk from thieves, and will provide a lifetime of protection against anything the British climate can throw at it! 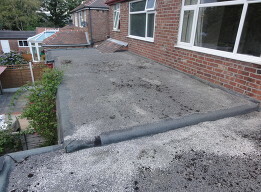 Polymer Membrane systems have been the number one commercial flat roofing and waterproofing solution in the UK for almost 40 years and are widely utilized by Public Sector institutions such as schools, hospitals and local government offices, who favour their: independently certified durability; long life; clean, safe, reliable installation process and aesthetically pleasing finish. Polymer Membrane systems can be found on buildings such as; Ikea stores, B&Q, David Lloyd Sports Centres, Manchester Airport, The Excel Centre London and even The British Standard Institute building. At Falcon Roofline, we believe that its time to bring the domestic flat roofing industry into the 21st century. We are now one of the the few companies able to address the needs of the residential market by making the the future of flat roofing available for these smaller scale installations. We are so confident that the Duranite System will outlast other roofing materials, that every Duranite flat roof we install benefits from a comprehensive 30 Year Written Guarantee which also carries an insurance backing for your total peace of mind.